Why Are Brokers So Different When Pricing? The industry that is car shipping is not one where set pricing occurs. This industry is run and operated by many small car shipping broker businesses all looking to make a little cash where they can. When a customer is looking up car shipping companies online they are merely finding many broker companies. That is just how the industry works. Each time a company is quoting a customer the company’s representative is giving a quote based on what else is being posted, what they believe will get the vehicle moved and then a broker fee. This is the sole reason as to why prices are always different. Being a person we each have a veiwpoint that is different from the next person. I might look at the load board and think it will be $800 to move a car plus adding a $150 broker fee and chrage the customer $950. Another person may think they can get it moved for $825 and a $200 broker fee and charge the customer $1025. It is all about guesses and money being made. When I am talking to a customer I always tell them to eliminate the cheapest quote because it will probably not move for that price. I say this because that quote mostly likely has a low broker fee and the lowest price to give a trucker. That means there is no wiggle room if a mistake was made. The broker will simply charge the customer more so they can make some money. Make sense? Something that would help this industry is a system where poorly rated companies couldn’t be a member of. Right now we all use Central Dispatch as the national load board. Central Dispatch doesn’t care who is a member as long as they have the Federal licensing and paying their monthly fees. We need a system that will discontinue service for companies with a 3-star rating and below. This will help eliminate poorly run companies from ruining the customer experience in the industry. Something else that could help the industry instead of a new system is having auto transport lead companies not sell to poorly rated companies. Then if they cannot buy leads these poorly rated companies couldn’t stay in business because they have no way f getting in front of customers. Obviously this is all my opinion at this point, but I truly do want this industry to be better for customers. We want customers to want to come back and transport their car again. Am I right? 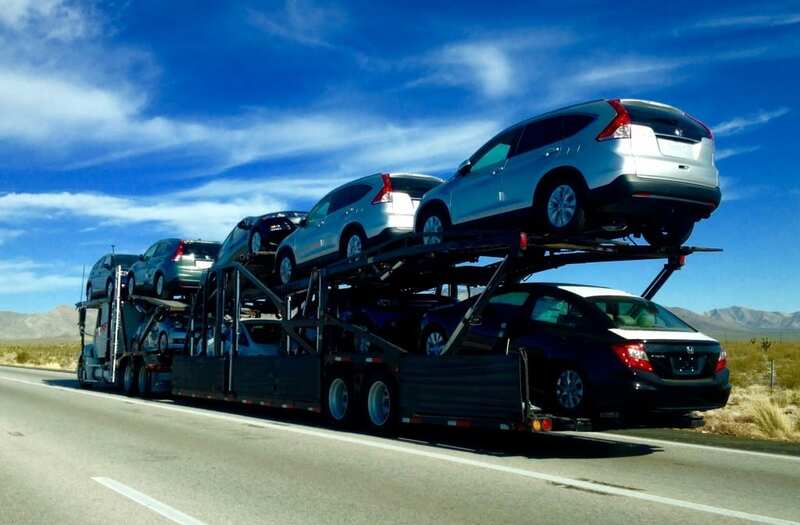 Car Shipping Carriers was created in 2011 to help change the auto transport industry into a better industry. Our customer first mentality has helped thousands of customers transport their vehicle safely and exceed their expectations. We are proud to serve our customers and transport vehicle across the country each and every day and we look forward to continue to just that. Our articles that we write are all about the auto industry and the auto transport industry. We want our customers to have all the knowledge possible about cars they be purchasing or the services that are available when transporting a vehicle.